Attracting customers is a never ending task for any business. You can’t ever rest on your laurels. Finding new people who might want to buy, introducing your business, and finally convincing them to give you a try, can be exhausting. With all that effort exploring the outer reaches of your marketplace, it’s easy to ignore what’s right under your nose, your existing customers. It’s six times easier to sell to an existing customer than to find new ones. They already know and trust you. While you may do a terrific job for a customer, they will soon forget you. Sending newsletters with useful information about your products and services, not just a sale catalogue, is a great way to stay in touch and remain Top of Mind so that when they think of needing services from your sector again, they think of you first. While newsletters are a great way to remind people that you still exist, it’s one way communication. Social media is a way to interact directly with your existing customers, answering their questions, and receiving feedback and getting new ideas. It’s also a far more direct way of building on the foundation relationship of the first sale. The very best time to make a sale is when you have just made one. Trust is at a maximum as is satisfaction that you have solved a problem. This could be an upsell (Do you want fries with that?) or added value such as an extended warranty. 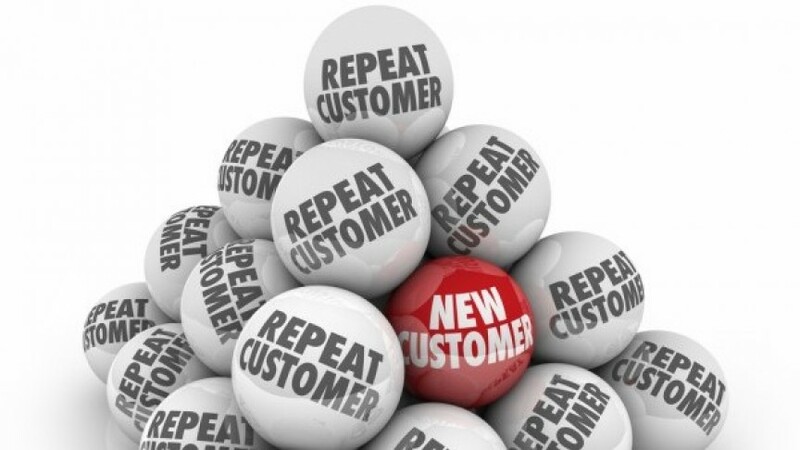 The best way to get an existing customer to come back is to give them a reason to come back. This might be a special for existing customers, or based on the knowledge of what they have purchased, the next logical purchase for them. An advanced offer of hard to get items would also be appreciated. People like to be remembered and one way of doing this is by contacting them on the anniversary of their purchase. If they purchased a gift for a family member’s birthday or ate at your restaurant, they will have a birthday in another year. Offer a free meal to for the person whose birthday it is. They are unlikely to come alone! While loyalty cards might seem a bit old fashioned, they are still being used for one reason only. They work. They are not just for the local café with the free 6th cup of coffee. Airlines’ frequent flyer programs are highly profitable. People will inconvenience their travel arrangements just so they can get extra points with their regular airline. Invitation only events make your existing customers feel special. This could be a bbq by a car dealership to preview their new models. It could be an invitation to the opening of a new exhibition at an art gallery with wine and cheese and a special speaker with the first preference to buy the artworks. Of course you would invite your guests to bring a friend! Almost all of these strategies depend on knowing who your customers are and their contact details. This requires a business to have in place processes to harvest these details at the time of the initial purchase. Without them, you will not be able to reconnect and will be quickly forgotten. The best place to find gold is in a gold mine. Having strategies to reconnect with your existing customers is the best way to mine that gold. Pretty sure most customers won't want 'fires' with that. Well spotted. Thanks for that!